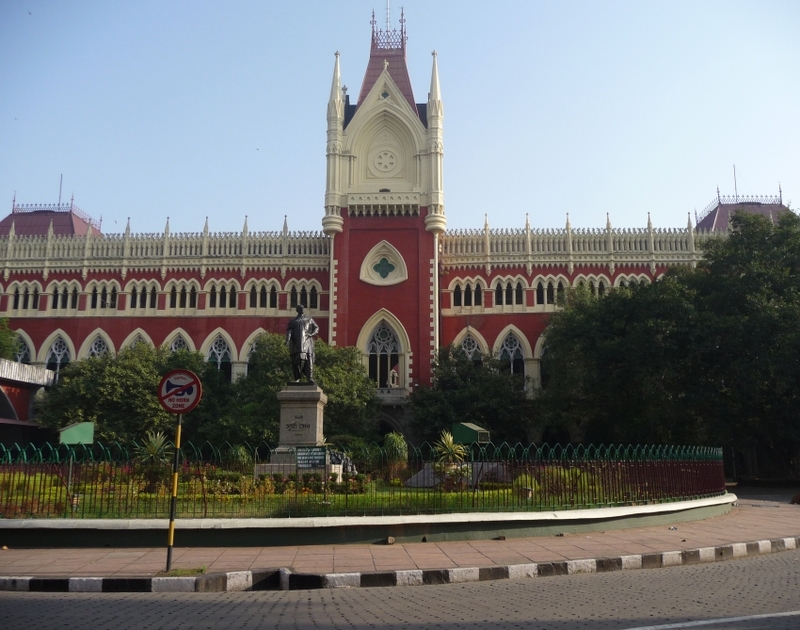 With reference to Hon’ble Calcutta High Court’s order on carcinogenic-asbestos that has been used for roofing in the Hon’ble Court’s main building, this is to draw your kind attention towards a serious unprecedented environmental and occupational health crisis with regard to the unnoticed epidemic of asbestos related diseases in West Bengal in particular and in our country in general. We submit that prior to this when you were the Hon’ble Union Railway Minister the ministry had ordered removal of asbestos roofs from all railway buildings. It is noteworthy that the ministry has invited offers for “Procurement of Non-Asbestos “K” Type Composition Brake Blocks”. The offer has been issued by Director, Railway Stores (W) or and on behalf of Hon’ble President of India. It discloses that in the Everest Industries Ltd., 1, Taratala Road, P.O. Garden Reach in the District of Kolkata “One person having some abnormality in X-Ray Chest, diagnosed as fibrotic lung disease (?) were made unfit and alternate placement facilities were provided.” It has reported in the submission that the operation of Unit Sarbamangala Industries, 34 B, B.T. Road, Kolkata-700002 is closed for last two years. Its management has been asked to maintain the health records of the workers. It is reported that Mahendra Tubes Ltd. NH-31, Birpara Gairkata Road, Vill. P.O. Sakuajhara, Dist. Jalpaiguri is in irregular operation and the workers are not fixed and permanent. Its management has been asked to maintain the health records of the workers. With reference to J.D Jones Ltd. Howrah, it has been reported that at present it is having no process/work involved in asbestos handing. Its management has been asked to maintain the health records of the workers. The reply submits that “No case of compensation has been reported in the above units though alternate facility has been recommended for few workers in some units on medical ground”. We submit that this reply appears to constitute a blatant case of adoption of Ostrich policy the State Government. It is refusing to admit to emergence of asbestos related diseases in these factory units of the State. We submit that as per Environmental Impact Assessment Manual for Asbestos Based Industries, Union Ministry of Environment & Forests, type and quantity of solid waste generated during the construction and operational stages is to be quantified. In case of expansion of the unit, the solid waste generated category wise should be furnished. For disposing asbestos waste mate rial the norms notified under Hazardous Waste (Management, Handling and Transboundary Movement) Rules, 2008 and the recommendations as per IS: 11768 – 1986 (Reaffirmed 2005) is required to be followed. "All asbestos waste must be kept in closed containers before its transportation to the disposal point so that no asbestos dust is emitted into the environment during transportation. Final covering of asbestos waste, other than high-density waste, shall be to a minimum depth of 2m and the asbestos waste including the used bag filters should be disposed at an approved TSDF." It must be noted that there is no mention of Hazardous Waste Treatment, Storage and Disposal Facilities (TSDFs) for the waste generated for the asbestos factories in the State. The reply and the submission do not reveal the status of the procurement of asbestos based products by the State Government and the residents of the State. It has failed to report whether the State has the environmental and occupational health infrastructure in place to diagnose asbestos related diseases. We submit that it has been estimated that one person dies from mesothelioma for every 170 tons of asbestos consumed. WHO estimates we have107,000 deaths worldwide per year from occupational exposure to asbestos.If non occupational exposure is added it reaches a figure of about 120,000 deaths. Average world consumption/year 30-60 years ago was -- looks like 3/2 of what it is now (2 million metric tons/year). Give India its share of that based on its share of global consumption. At 300,000 tons in 2013, that's about 18,000 deaths (15% of 120,000). Asbestos diseases have a very long incubation period. So if you are exposed today to an asbestos fibre, you are likely to get the disease in next 10-35 years. Asbestos is like a time bomb to the lungs and Indians will suffer the most. If it is banned today that does not mean people will not suffer. Because of past usage people will continue to suffer from these diseases. We submit that there is hardly any building in West Bengal which is asbestos free. It is high time efforts are initiated to decontaminate asbestos laden public and private buildings. We submit that prior to Hon’ble High Court’s verdict, Kerala State Human Rights Commission recommended ban on use of asbestos roofs for schools and hospitals in its order dated n 31st January, 2009. We submit that National Human Rights Commission (NHRC) has passed an order in Case No: 693/30/97-98 recommending that the asbestos sheets roofing should be replaced with roofing made up of some other material that would not be harmful. We submit that the Annual Report of NHRC 2003-2004 refers to a Report entitled “Asbestos – Health and Environment – an in-depth Study “submitted by the Institute of Public Health Engineers, India. The study underlines that safe and controlled use of asbestos is not possible. We submit that taking lessons from the industrial disaster of Bhopal, asbestos industry should ne made to pay heed to the way asbestos companies have gone bankrupt in the Western countries. They should be persuaded to join hands and create a compensation fund for victims. Dow Chemicals Company which refuses to own the liability for Bhopal disaster caused by Union Carbide Corporation (UCC) in India has owned the UCC’s asbestos related liabilities and announced a compensation fund of 2.2 billion dollars for the victims. In Europe, tycoons and ministers are facing criminal charges and imprisonment for their act of knowing subjecting unsuspecting people to killer fibers of asbestos. The future is no different for Indian culprits. We submit that while India has technically banned mining of asbestos due deleterious impact on health, it is quite ironical that Union Government allows import of white chrysotile asbestos from countries like Russia, Brazil, Zimbabwe, Kazakhstan and others. Government should not allow itself to be misled by asbestos producers like Russia in this regard now that Canada has rightly stopped mining of white chrysotile asbestos almost like India due its “deleterious” impact on health. We submit that in January 1995, while passing the judgment for the asbestos case file by the Consumer Education & Research Centre (CERC) (case details: http://indiankanoon.org/doc/1657323/), Hon’ble Supreme Court of India directed all asbestos factories to keep the health records of their workers for 40 years and/or 15 years after their retirement. We submit that the second significant direction was the GoI and the state governments have to mend their rules and regulation as per the ILO resolution (International Labour Organisation). The ILO says eliminate asbestos of all kinds for elimination of asbestos related-diseases. Controlled use is not possible. It has not been possible for all the countries which have banned it and this is impossible in India too. We submit that Navy officials have rightly objected to presence of asbestos in aircraft carrier Admiral Gorshkov which was inducted into the Indian Navy as INS Vikramaditya after asbestos decontamination. We submit that Union of India’s Budget 2011-12 had made reference to asbestos related diseases by including it under the Rashtriya Swasthya Bima Yojana to cover ‘unorganized sector workers in hazardous mining and associated industries like asbestos etc”. During Emergency, the ruling party and its acolytes had proposed to put opposition leaders in jails which had asbestos roofs. We submit that there are fibre substitutes that have been evaluated by WHO are listed in the Summary Consensus Report of WHO Workshop on Mechanisms of Fibre Carcinogenesis and Assessment of Chrysotile Asbestos Substitutes. We submit that sooner or later, the asbestos industry will go bankrupt because they will have to pay huge amount of money in compensation. For every injury in the law there is a remedy. The present and the future generation will make sure they get remedy. We submit that the rate of consumption of growth which they are enjoying today does not mean it will continue. In western countries, the rate picked at one time and today it is zero. This is the peak of Asbestos industry in India and now, the downfall will start. We submit that the industry must be persuaded to phase out in two phases. In the first phase the goal is to eliminate use of chrysotile asbestos and the number of exposed workers and consumers in the country. In the second phase, the goal is to create incentives for the use of safer materials, ensure, create a registry of asbestos laden buildings and victims of asbestos-related diseases and ensure decontamination of the former and compensation for the latter. There is an immediate need to conduct an audit of the current status of the victims of asbestos related diseases from the government hospital records in the country and make it mandatory for medical colleges to provide training for doctors so that they can diagnose diseases caused by occupational, non-occupational and environmental exposures to killer fibers and substances. We submit that Union Environment Ministry’s Vision Statement reads: “Alternatives to asbestos may be used to the extent possible and use of asbestos may be phased out”. We submit that meanwhile, while an Advisory Committee of Union Ministry of Labour has been set up to implement Hon’ble Supreme Court order issued 15 years ago on January 27, 1995 and repeated on January 23, 2012. 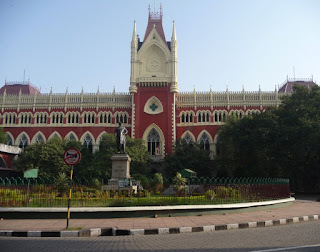 Although more than 1 year and four months have passed but the Advisory Committee headed by Joint Secretary, Union Ministry of Labour is yet to submit its report to incorporate specific directions of the Court with regard to fresh ILO’s Resolution of June 14, 2006 introducing a ban on all mining, manufacture, recycling and use of all forms of asbestos. We submit that even early industry-funded studies showed a causal relationship between asbestos exposure and cancer. Had this been made known to the public it could have prevented countless deaths but the asbestos industry made the conscious decision to protect their profits instead and choose to keep this information hidden from the public. India’s asbestos industry is following the same path. As a consequence, although millions of Indian lives are being lost and millions are being exposed to the killer fibers of white chrysotile asbestos, no government agency or company is being held liable due to political patronage. While on a visit to New Delhi, Dr Alec Farquhar, as the Managing Director, Occupational Health Clinics for Ontario Workers, Canada said, “We now have around 500 asbestos cancer cases every year in Ontario from a population of 13 million. If you (India) continue on your current path, you will multiply our death count by 100 times. That would be 50, 000 Indian workers dying every year from asbestos. In Ontario, we learned that safe use of asbestos is impossible. I urge you from the bottom of my heart, please do not make the same mistake as we made in Canada. Stop using asbestos and use a safe alternative.” It is clear that lack of documentation and lack of environmental and occupational health infrastructure does not mean lack of victims of asbestos related diseases. We submit that the year 2011 is remembered in Bihar for a successful villagers’ struggle against a asbestos plant proposed by Kolkata based company Balmukund Cement & Roofing Ltd in Chainpur-Bishunpur, Marwan Block, Muzaffarpur district, Bihar that led to the winding up of the plant as per a communication from the Chairman, Bihar State Human Rights Commission. We submit that following bitter resistance against the proposal of West Bengal based Utkal Asbestos Limited (UAL) at Chaksultan Ramppur Rajdhari near Panapur in Kanhauli Dhanraj Panchayat of in Goraul block in Vaishali, Bihar, Bihar State Pollution Control Board (BSPCB) cancelled the No Objection Certificate given to the UAL company. It had approval for 2.5 lakh ton per annum capacity. The peoples struggle led to stoppage of proposed asbestos based plant of 1.25 lak tons per annum (TPA) capacity in Pandaul, Sagarpur, Hati tehsil in Madhubani, Bihar. The proposal of 2.5 lakh TPA capacity plant by Hyderabad Industries Ltd in Kumar Bagh, Bettiah, West Champaran, Bihar has also been stopped. The company has constructed a boundary wall amidst rich agricultural field but faces court cases from villagers. It is sad that a killer fiber like asbestos which is banned in some 60 countries is being used in West Bengal to manufacture asbestos cement sheets disregarding the fatal health impact for present and future generations. Such plants and products should be stopped to save residents from incurable lung cancer like diseases. We submit that asbestos death toll has surpassed traffic fatalities in Australia. In US, every year 10, 000 people are dying because of asbestos related disease. There is an epidemic of asbestos diseases in Europe. In India, a silent Bhopal disaster is happening every year. The rate of consumption of asbestos in India is rising at an alarming rate due to budgetary support. Nearly all of India's asbestos is mixed with cement to form roofing sheets. Bolstered by asbestos import tariffs that have been reduced from 78% in the mid-1990s to 15% by 2004, the country's asbestos-cement industry is increasing by roughly 10% every year. We submit that some typical asbestos-based materials include sound insulation infill, thermal insulation lagging, tape, rope, felts, blankets, mattresses, asbestos boards, gaskets and washers, drive belts/ conveyor belts, roofing sheets and slates, drain and flue pipes, rainwater goods, fascia boards, bath panels, ceiling tiles, toilet seats, cisterns, bitumen damp proof course, lining to walls, lab bench tops, extraction hoods and fume cupboards, brakes and clutches, cooling tower elements and others. We submit that the health consequences are already apparent, but the scale of the problem is not clear because there is no documentation of disease caused by environmental and occupational factors. “The Government of India has a very poor, almost non-existent, system to record death and disease”, explains Arthur Frank from Drexel University, Philadelphia , PA , USA who is a regular visitor to India. Besides, cancer is not a notifiable disease. Prof. Frank cited a hospital in Mumbai which sees a dozen cases of mesothelioma every year. Studies have shown high rates of asbestosis among workers in the industry, including in those whose exposure to the material has spanned less than 5 years. There has been no real assessment of [asbestos-related disease] to the point that you can get accurate figures. We submit that the verdict even by the World Trade Organization (WTO)’s Appellate Body (AB) validated the rights of Member States to prohibit the import and use of goods which contain carcinogenic substances such as chrysotile asbestos (white asbestos) is noteworthy. On March 12, 2001 the WTO's Appellate Body (AB) issued its ruling in the case of Canada vs. the European Communities Measures Affecting Asbestos and Asbestos-Containing Products. It noted that safe and controlled use of chrysotile asbestos is impossible. We submit that India is the largest importer of asbestos, according to the UN Commodity Trade Statistics Database. Most of it goes into making corrugated roofing sheets as building material. In our country, it has been estimated by a Canadian jurist that approximately 50, 000 people die every year due to asbestos related cancer. But so far Government of India and state governments has failed to take a pro-people’s health position and a scientific stand on the import of chrysotile asbestos whose mining is technically banned in India. It is a matter of fact that health is a state subject. In view of the incontrovertible adverse health effects asbestos based plants and products should be phased out to protect the lives of present and future generations. We take this opportunity to draw your immediate attention towards the fact that asbestos related diseases are also incurable despite this environmental clearances are still being given by the central environment ministry but health being a state subject, your government can act to safeguard the life of present and future generations by stopping it. All the groups working on human rights, labour rights, health rights and environmental justice will appreciate if you can intervene urgently in the matter of chrysotile asbestos as Kerala government acted in the case of Endosufan. Health is a state subject. In such a backdrop, it is germane to ask Government of West Bengal to stop manufacturing, procurement and use of all forms of asbestos including white asbestos. In view of the above, it is your solemn duty to protect the residents of West Bengal from the exposure of fibers of chrysotile asbestos. We will be happy to share reference documents and more information in this regard.